공지사항 - 영동극동방송을 위해 기도해주세요! 강원도 고성에서 시작해 속초로 이어진 전례없던 대형산불로 인해 막대한 재산피해와 함께 인명피해까지 발생했습니다. 강원도 영동지역에 복음을 전하고 있는 영동극동방송 역시 큰 피해를 입었습니다. 방송사 1층과 2층은 완전 전소됐으며 3,4층 공간은 연기와 분진으로 인해 사용할 수 없는 상태로 방송이 불가능한 상황입니다. 현재는 강릉 괘방산 송신소에서 비상 방송을 하는 형편입니다. 고성과 속초로 이어진 대형화재로 인해 큰 고통가운데 있는 우리 이웃들이 있습니다. 더 이상 큰 피해가 발생되지 않도록 기도해주십시오. 슬픔과 두려움에 떨고 있는 우리 이웃들의 마음에 하나님의 위로가 함께 하도록 기도해주십시오. 또한, 강원도 영동에 복음을 전해온 복음의 전진기지 영동극동방송이 속히 회복되고 복음이 중단되지 않고 전해질 수 있도록 기도해주십시오. The huge wildfires that started in Gangwon-do, Goseong and thenSokcho, caused massive damage to property and damage to people. 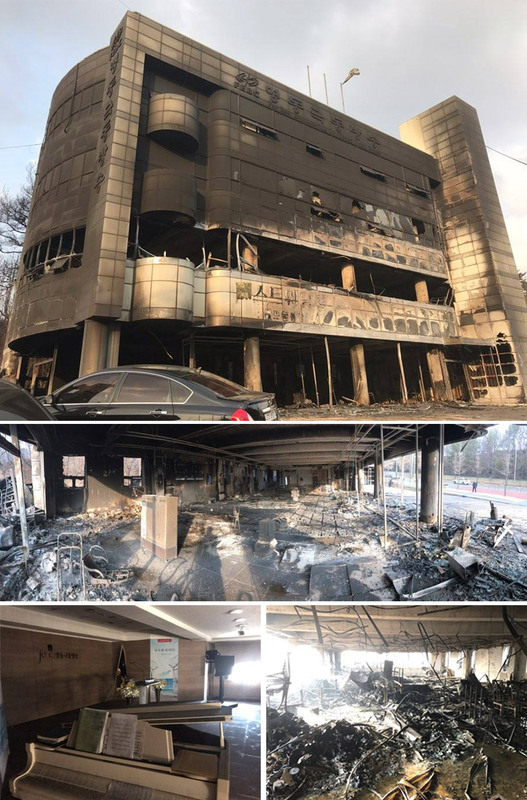 Far East Broadcasting Yeongdong station , which spreading the gospel to Yeongdong region in Gangwon Province, was also greatly damaged. The offices on the first and second floors are completely burned down, and the third and fourth floors are inaccessible due to smoke and dust. Currently, it is an emergency broadcasting station in Gangreung Kurobang Mountain Transmission Station. Our neighbors are in great pain because of the large fires that lead to Sokcho and Goseong. Pray that no further harm will occur. Pray for God's comfort in the hearts of our neighbors who are sad and fearful. Also, please pray that the Yeongdong Far East Broadcasting Station, the advance base of the Gospel that has spread the Gospel in Youngdong, Gangwon Province, will be restored quickly and the Gospel will be delivered without interruption.